One of Quang Ninh’s solutions to improving provincial tourism in the last month was to promote an environmental clean-up campaign so as to provide tourists with a better impression of the province. Many tourists to Quang Ninh used to be bothered by hawkers, beggars, and touts clinging around them or being overcharged at local restaurants. Although local authorities applied measures to eliminate these issues, their efforts seemed not strong enough, and therefore, provincial tourism was effected. Quang Ninh Province’s People’s Committee has actively directed, inspected, and handled these issues and also violations in tourism operation at some tourist sites including Bai Chay, Hoang Gia International Park, Youth Beach, and Bai Chay Tourist Boat Port. Last month for example, Ha Long Bay Management Board, Quang Ninh’s Department of Culture, Sports and Tourism, and Quang Ninh Province’s People’s Committee coordinated to handle 16 violations by seafood business, 10 street sellers, and five restaurants violating urban regulations; and organized 48 local tourism inspections within Bai Chay Ward. According to Quang Ninh’s Department of Culture, Sports and Tourism, 3.7 million tourists came to visit Quang Ninh over the past four months, including more than one million international tourists, accounting for 49 percent of the province’s annual plan and an increase of 17 percent over the same period of last year. Only in April, 759 500 visitors came to Quang Ninh. Quang Ninh’s total revenue from tourism activities in the first four months hit VND1.74 trillion. 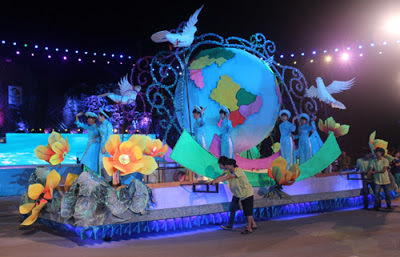 During Ha LongCarnaval and holidays of April 30 and May 1, about 15,000 visitors came to Ha Long every day. 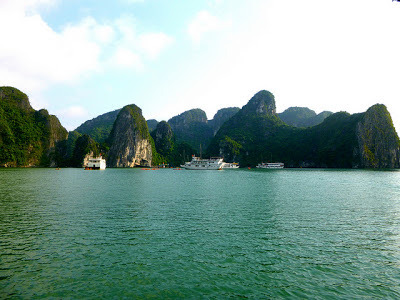 Despite an increase in tourist number during holidays, local authorities managed to control tourism activities across the city and bay of Ha Long including recreation centers, motels, and hotels, helping tourists fully enjoy their tours. In the coming time, Quang Ninh Province’s People’s Committee will continue to work with relevant agencies to check and handle violations in tourism businesses in the province and raise local people awareness over the need for conservation of Ha Long, and more civilized behavior. To find out more about travelling with ACTIVETRAVEL ASIA(ATA) and for your chance to WIN a trip in every edition http://www.activetravelvietnam.com/tour.php?op=detail&tourId=24. Plus you can become a fan of ATA's Facebook page and follow us on Twitter!